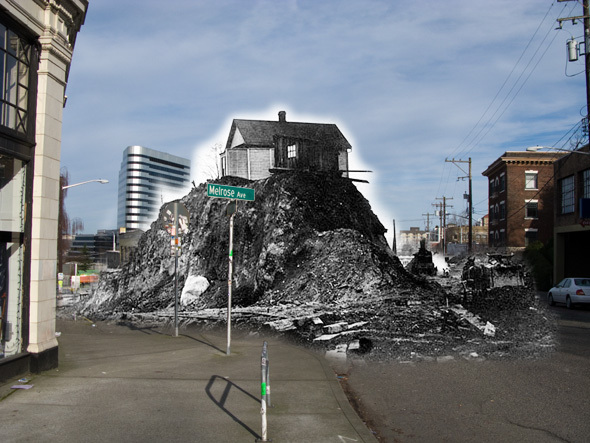 In 1909, an outhouse teetered twenty feet over the junction of Melrose, Minor and Pike. Recently a CHS Re:Take explained how City Engineer R. H. Thompson filled in the 12th Avenue gully, and it showcased Thomson’s thoughts of tunneling to downtown. This is more traditional Thomson handiwork here. First let’s figure out where we are, then let’s talk about the owner of the house, and finally it’s probably worth figuring out why that house is way up there. UW Special Collections has an incorrect caption saying this is Bellevue and Pike in 1909. If you’ve hung out on lower Pike enough, you know that this is not Bellevue. The angles are wrong. Trust your gut. You’re looking east north on Melrose and Minor from Pike Street. You probably noticed that the old Butterworth Mortuary – recently Chapel, now Pine Box – is missing here. Well, it wasn’t built until 1922. There’s nothing left of 1909 in this scene, so you’ll need to look carefully at that map up above. The buildings off to the left were on Pine, the row on the north side between Minor and the alley. Those are the parking lot across from the Baltic Room today. Over on the right is an apartment building on the east side of Melrose east of Pine. Today that’s another parking lot, the one behind the old mortuary. 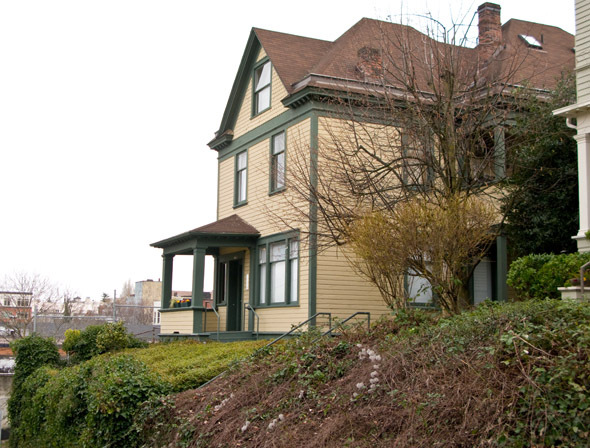 That house belonged to Seattle pioneer™ Frank Renick. The trademarked definition of a Seattle pioneer is “arrived in Seattle before the Great Fire.” Renick was born in Connecticut and went to school in Concord, Buffalo and Detroit. He arrived in Seattle in 1888 from Kansas City at the age of 24. Like most of the people drawn to Seattle back then, he was restless. Renick sold fire insurance, starting his firm the year he arrived, before the Great Fire. You’d think that would have been a bad move, but apparently not. With partner J. C. Waltrous he had a vertical business managing properties, renting, buying, selling, negotiating loans and even dealing with logging on timber land. 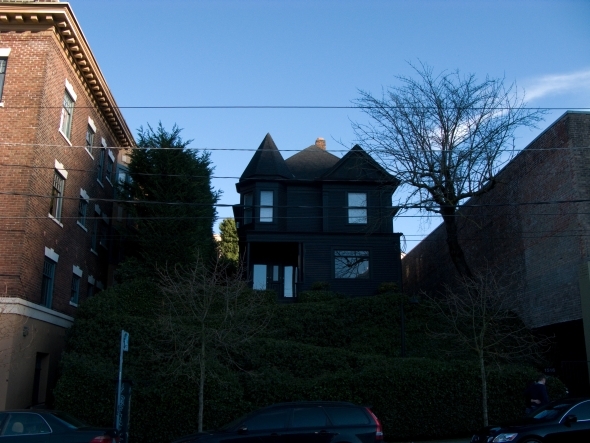 He was also busy directly in real estate, and with his partner Herbert Upper in 1891 laid down the plat for the Upper & Renick Belt Line Addition to Seattle. The plat specifically claims it was an addition to the City of Seattle, but it was way the heck over across Lake Washington, in south Bellevue just up from Factoria. He bought and sold other property around Seattle, including a number of spots in Pike/Pine. On the side he dabbled in politics. 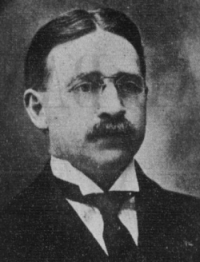 At the time of this photo he was in his third term in the Washington State House, and at the time of his death in 1921 he was a State Senator. He was perhaps the earliest elected official from Capitol Hill. And he was Republican. In Oliver Davie’s book on birds, an account is given of the eggs, etc., of the Black Swift taken at Yesler’s wharf on salt water. Would say that I have been here since 1888, when they were claimed to have been taken. I have never seen the Swift on salt water. On Lake Washington (fresh water), a few miles distant, they are abundant, occassionally flying within gunshot. Around Yesler’s wharf Purple Martins are plenty and were during 1888. The Swift seems to keep away from habitation, and Yesler’s wharf in 1888 was the scene of great bustle and activity. I have watched the Swift and think they breed in hollow trees inland. Mr. S. F. Rathburn and the writer thinks, perhaps, those eggs found in 1888, at Yesler’s wharf, were Purple Martins. I would be glad to hear from the owner of the set of eggs. He even collected and donated four items which are still in the collection of the Smithsonian Institute. 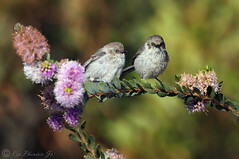 They are one bushtit skin, and three nests with eggs from a bushtit, junco, and white crowned sparrow. After being elected to the state House of Representatives in 1905 his first proposed law was a ban on bird hunting on Lake Washington and within a mile around it. He claimed it was for safety because of houses along the shore, but he was really aiming for a wildlife preserve. The game warden gave him a jade pin in thanks. Another legislative milestone was the 1915 Renick Law, which forced cities to use the money they collected for its intended use. No more random projects with left over money from local improvement districts created for regrades, or paying for streetcars with sewer funds. The law was much hated in Seattle, and as you saw above, he had some personal experience. The Melrose photo shows the Pine Street regrade nearing completion. From 1907 to 1909, this regrade flattened out Pine Street from 7th to Boylston. 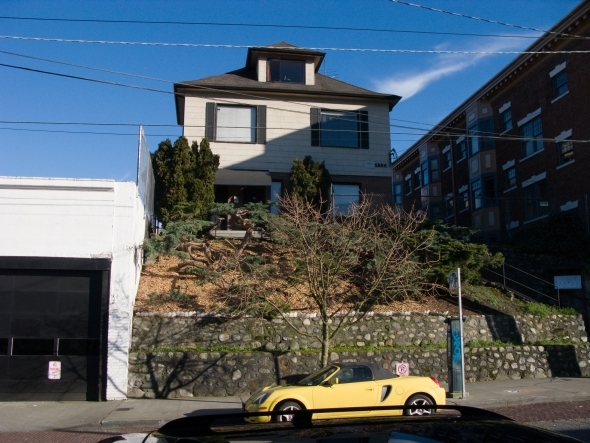 Certainly you’ve heard of the Denny regrade, which flattened Denny Hill. That started in 1898, and really kicked into gear from 1903 to 1910. As city engineer R. H. Thomson got good at it — and as extra dirt piled up — a series of radiating regrades carved down and filled in Seattle’s topography from Lake Union to Elliott Bay, through downtown to Dearborn and back around First Hill on 12th. There are a long list of long lost topographical features. After Denny Hill, the most famous are Denny’s Knoll (essentially Rainier Square downtown) and Jackson Street Hill (the missing ridge between First and Beacon hills). The first attempt to wipe out these glacial remnants was over on Pike Street from 7th to Boylston. After a slight rounding in 1901, the ridge and cliff were flattened and the ravine filled in 1903. That introduced the steep drop at Renick’s house on this side of Melrose. Even with the cut, carts pulled by teams of horses were still forced to climb a steep seven percent grade on Pike for block after block. One icy day in early 1907, horses were maimed and put down after trying to pull loads up the hill from 9th. Humane Officer Clark says the injuries to the horses are due almost entirely to the fact that they were not rough shod and that with smooth shoes it was impossible for the animals to keep their feet. The Pine Street regrade, along with nearby Olive Street regrade, started in the Spring. Here’s the basic math of a regrade. Start with an almost impassably hilly street. Properties on this street will be lower in value than if they were easily accessible. If the street is improved, the property value will increase. So the regrade is paid for by creating a Local Improvement District which assesses each land owner based on the increase in value. Owners with buildings are paid for lost value from destruction or costs for moving or altering a building. As an added bonus for land owners, they are given the opportunity to have their property’s height raised or lowered by the contractor at the same cost as the city, a very discounted rate. Not everyone agreed that spending all of this money was a good idea. Each regrade was fought by a group of owners, who were unable to prevent it. Some of them were awarded larger compensation by the courts. Some weren’t satisfied, and refused the offer to have contractors modify their property. 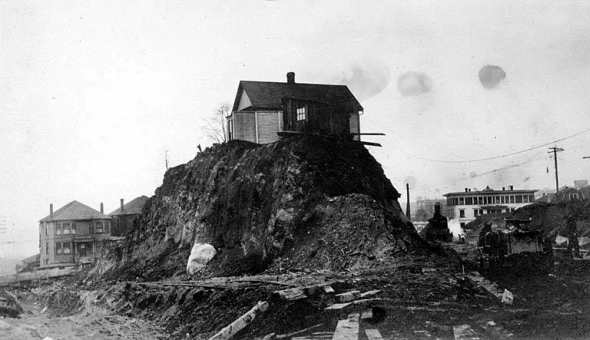 Over on Denny Hill, where street levels were changed more than 100 feet, Badlands-like towers called spite mounds became iconic in Seattle. The Pike Street Hill left a few as well. Renick’s home stands out here. You can see the 45-degree angle of the rise, after the contractors cut it to 1 foot elevation to 1 foot depth. Renick continued to rent it out after the regrade, but eventually he caved in. The auto row building now used by Madison Melrose Market replaced it in 1919. There are still a couple hold outs across the street, though, sitting on the last remnants of Pike Street Hill. You can find more regrade remnants like this around the neighborhood, where property owners thought the hill would be surmountable afterwards. Renick owned another over on Belmont just south of Pike — it’s being sold as studio condominiums now. There’s even a fun chunk of untouched hillside between Olive Street and Olive Way below Crawford Place. Then there are all of the deep parking lots around 12th and E Union, from when the sleepy hollow was filled in. Right now you can see another chunk of old street level at 10th and Union. The wedded warehouse is being demolished and its basement sits on old ground. Best yet, make sure your membership at the Burke Museum is paid up. When they get it out on display, you’ll be able to see the sidewalk from Pine Street that Sound Transit dug out of their light rail tunnel last year. It was 35 feet down there. It was at the bottom of the ravine at Terry Street, down at the original street level. What happened to Frank Renick? Immediately after the regrade, Frank moved up on Belmont south of Pike. The yellow building is still there across from the old Willys Overland dealership profiled last time on CHS Re:Take. It’s clinging to retaining walls over the cut-out street. One of his daughters married and moved further up on Harvard between Pine and Olive. The other married and followed the regrades to her new home on Beacon Hill. Frank and his wife Alice were divorced in 1918, so Frank was living alone when he died in 1921. He was asleep in bed when he was overcome by gas fumes from the bedside fixture. His business partner J. T. Waltrous didn’t think anything when Frank didn’t show up to sign documents. The State Senate wasn’t in session. ties about the pile of newspapers on his doorstep. Luckily, Belmont is still steep enough that you can see to the front porch from the street. The spite mounds on Melrose on the other hand are impenetrable. What became of the almost tallest building on Pike? Local history expert Rob Ketcherside shares his vision of the past and present with his Re:Take series of works on CHS and other Seattle sites. II love all of these Retake articles. I thought an article about when and why many Capitol Hill, First Hill and Central District street names were changed would be interesting. I live in an old house on 15th off Union and have a map that shows my house on Rose St. off Division St. Interesting spite mounds! But I think that the reference to “Madison Market” should really be referring to Melrose Market! I am guessing that the primary photo is looking straight at what is now the front door of the Terra Plata restaurant. Thanks for catching that – fixed now. You’re right, Terra Plata would be the corner of the dirt pile. Thanks for the compliment and story idea. Right now I only know the facts of the name changes. The story of renaming will take some digging. Not sure if there’s any source to turn to for the street name meanings before or after. I’ve always wondered why that house was on it’s own little hill. Awesome back story, thanks. The first five years I lived in Seattle were in an apartment building at Pine and Bellevue just around the corner from all this. I never realized. I will never see it the same way again. 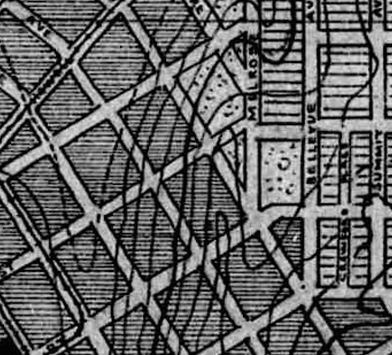 As unplatted land got bought up and the street grid filled in, street names were unified, as it didn’t make any sense to have the same continuous street change names 5 times in 5 miles. Or the city might annex a new area and decide to change the names to fit the greater scheme (e.g. 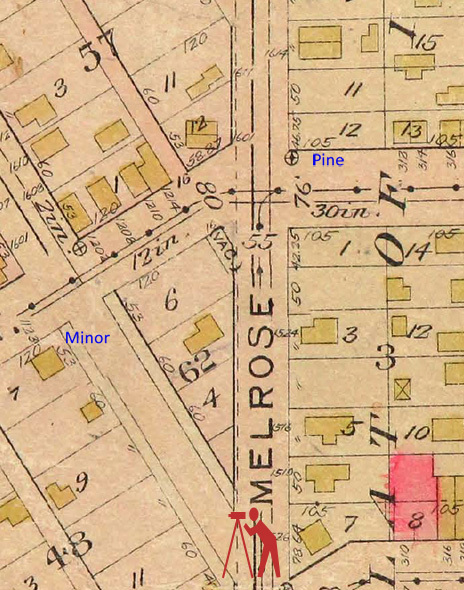 changing a name like Rose Street to 15th Avenue), or to prevent conflict with another (e.g. the Rose Street in South & West Seattle). These changes would’ve been made by ordinance, so you can probably find out the when if you hunt around enough. But they why, if it’s anything beyond purely practical reasons, probably won’t be noted in the ordinance. Section 37. That the name of Rose Street and Seventeenth Avenue and Duwamish Street from Yesler Avenue to Depot Street [now Denny Way], be and the same are hereby changed to Fifteenth Avenue. Section 75. That the names of Cooper and Division Streets from Twelfth Street to Lake Washington, be and the same are hereby changed to East Union Street. So those are the facts. It’s the why that would make it a story. The renaming part… was it part of street rationalization by R H Thomson? Was it simply normal business after annexation? And the naming part… who named them, and do the names stand out in their history? Was anything declared to the county that’s still in their records? Thank you both for looking into this. This is great information. Again, I really appreciate these articles.